Pat Hall – TOLD Partners Inc.
President and CEO of TOLD Partners Inc. as well as Managing Member of Bigstone Capital, Wong Hall Investments and HallEgger Development. Pat attended the School of Business at California State University, Northridge, where he graduated with a BS in Finance in 1976. During the 1970s and early 1980s, Pat worked as a broker with a regional commercial real estate brokerage firm. 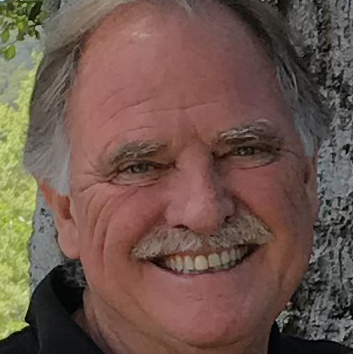 In 1982, he joined Thousand Oaks Land and Development Corporation where he was instrumental in expanding the firm into a national, vertically integrated Real Estate Development Company and branded the company TOLD Corporation. During the 1980s and 1990s, he was responsible for the development of 10 million square feet of commercial real estate and held the position of President and CEO of TOLD Corporation. In 1992, he purchased the real estate services division of TOLD Corporation and founded TOLD Partners Inc. TOLD Partners is a licensed Brokerage in California and Washington with offices in Los Angeles CA. and Issaquah WA. In 1996, Pat founded Development Partners LLC, which focused on the development of and investment in industrial real estate projects throughout California. Develoment Partners operations became Bigstone Capital in 2010. Wong Hall Investments and HallEgger Development focus on Multi Family and commercial real estate investment in California and Washington respectively. His business affiliations include: Young Presidents Organization, Active Member of the YPOCA-G Chapter; World Presidents; American Industrial Real Estate Association (AIR); and the International Council of Shopping Centers (ICSC).